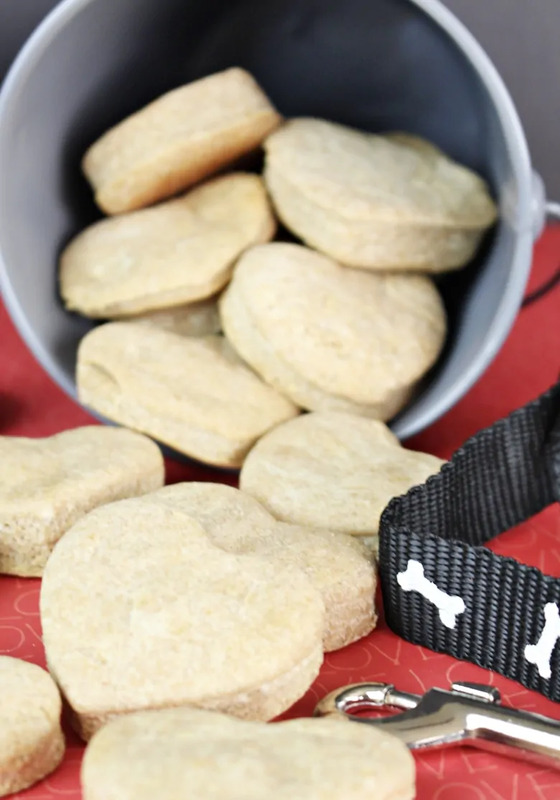 Make your own dog treats in 30 minutes with this easy homemade dog treat recipe. Made with just 6 ingredients, you likely have everything you need at home already. 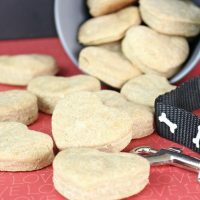 How about treating your pup to some delicious homemade peanut butter dog treats? Don't worry. 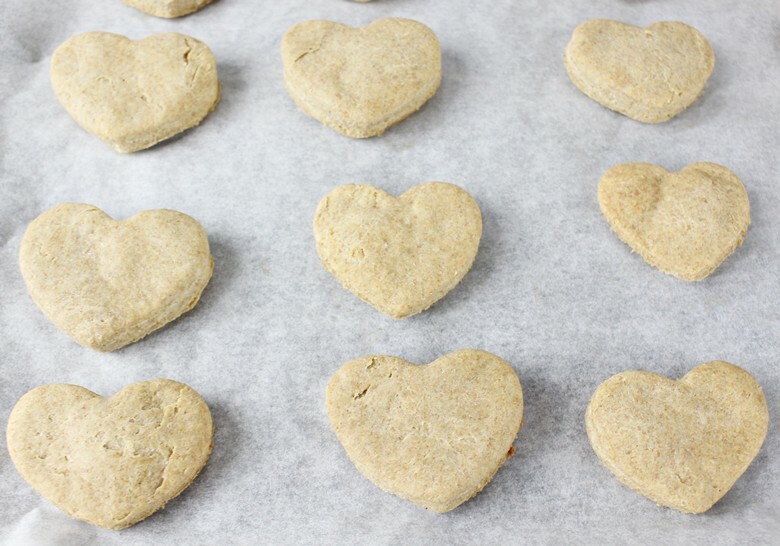 Making dog treats doesn't have to be difficult or time consuming. Sure it may take a few more minutes than grabbing a bag of treats at the store, but they really are super simple to make. 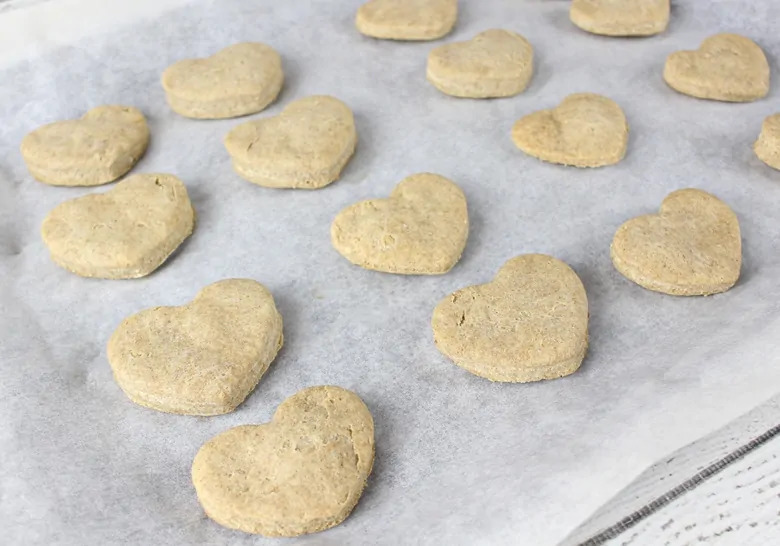 Making your own dog treats is as easy as making a batch of cookies. And who doesn't love a batch of homemade cookies? 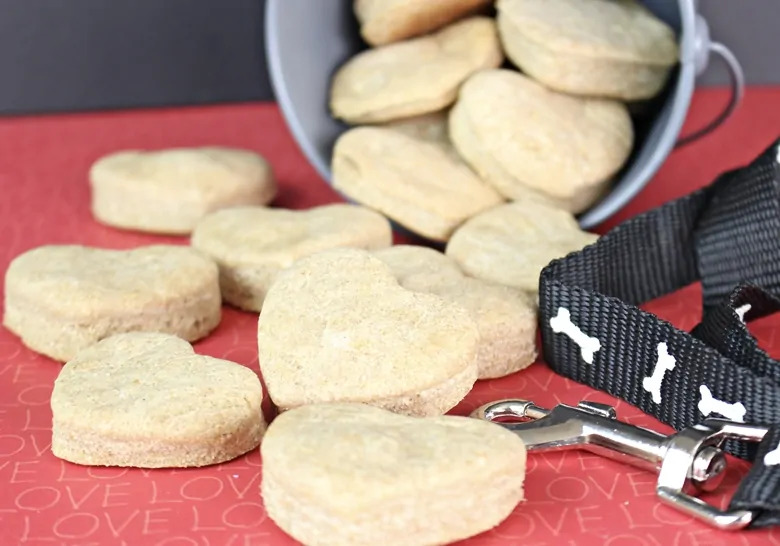 I like to think of making homemade dog treats as making homemade cookies, but for your dog. Start by gathering all of your ingredients and supplies. 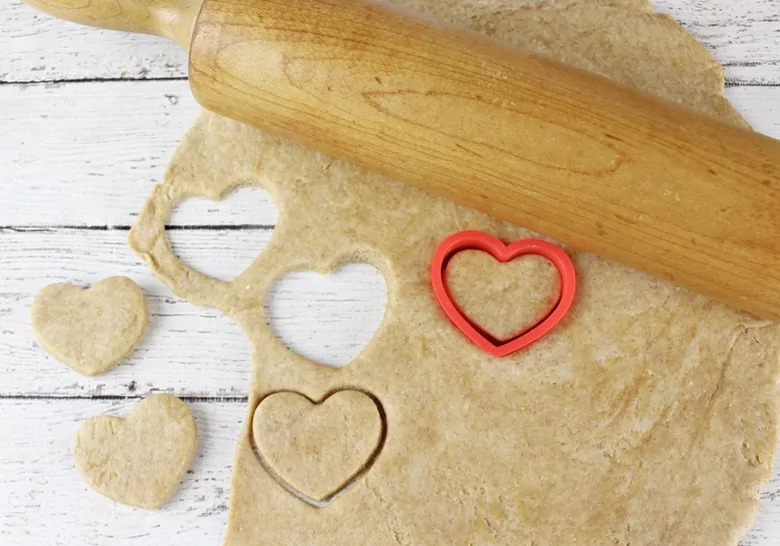 We made our treats using a heart-shaped cookie cutter, but you really could use any cookie cutter that you like (these would be perfect). 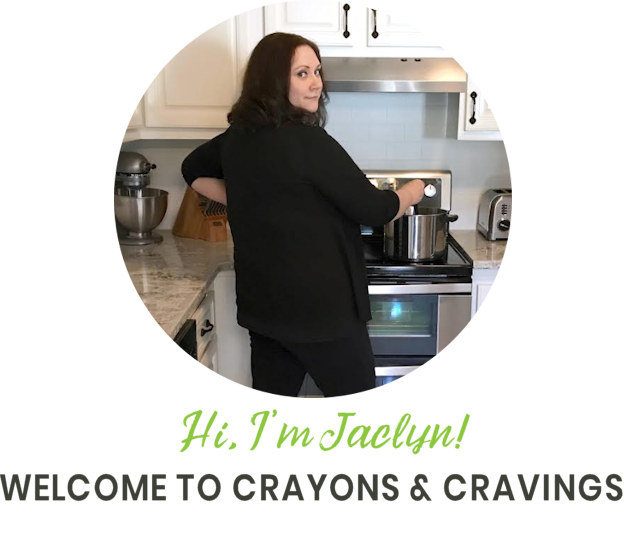 Once you have gathered all your supplies and ingredients it is time to get down to business. 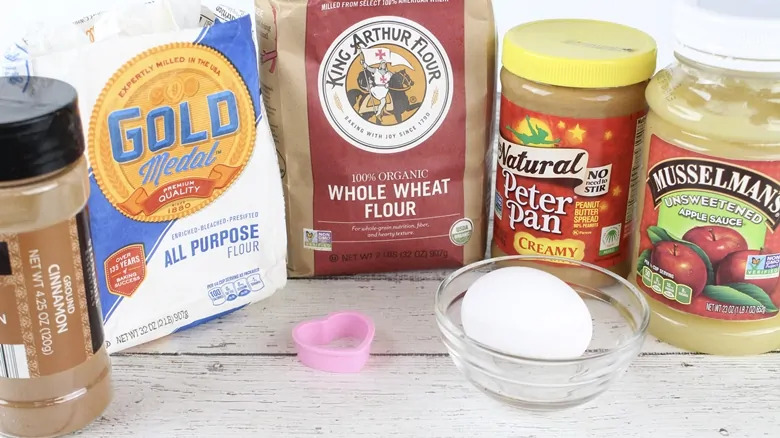 Add flour, wheat flour, applesauce, peanut butter, egg, and cinnamon to a medium-sized mixing bowl. Mix well until all ingredients are incorporated into a dough. 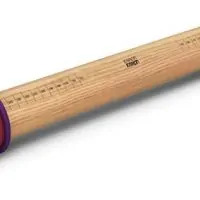 It may help to get your hands in there. Then roll the dough out on a level surface until it is about 1/4 in. thick. 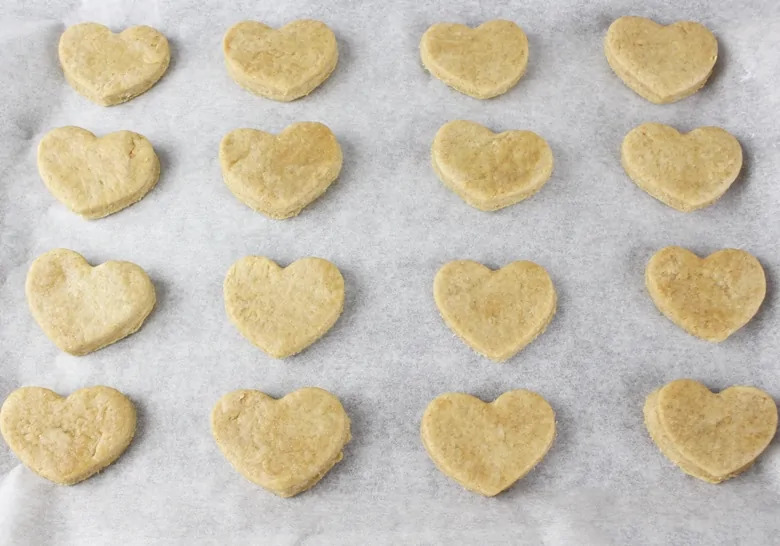 Use the cookie cutter and cut out cookies and place them on a lined baking sheet. You can take the scraps that are left over and re-roll the dough again to get a few more treats, if desired. Bake treats at 350 for 15-20 minutes, or until the treats are beginning to turn brown around the edges. 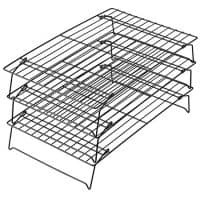 Allow the treats to cool for a few minutes on the baking sheet before transferring them to a wire rack to cool completely. Store in the refrigerator in an airtight container for up to 2 weeks. 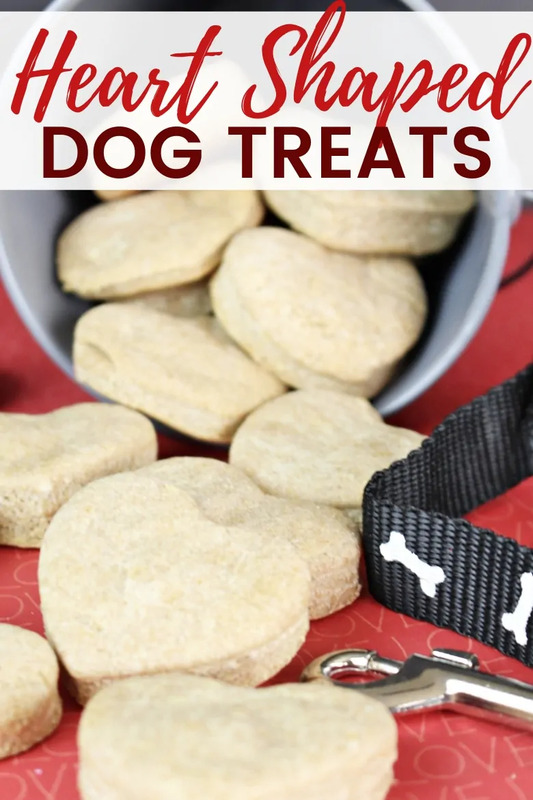 If you decided to make these treats, let us know how your dog liked them in the comments below! Preheat oven to 350°. Line a baking sheet with parchment paper and set aside. In a medium mixing bowl, add all ingredients and mix until well combined. 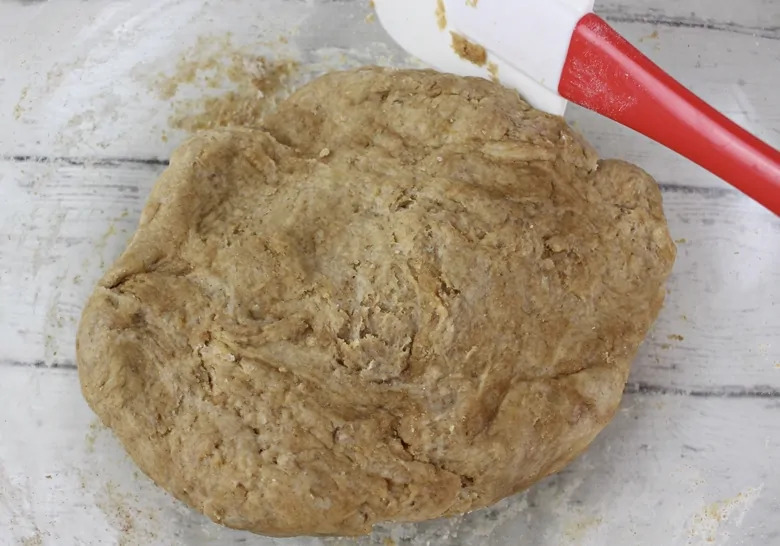 Roll the dough out on a level surface until it’s about 1/4” thick. 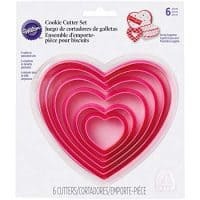 Use your cookie cutter to cut out heart shaped treats from the dough and place on lined baking sheet. You can take the scraps that are leftover and roll the dough again to get a few more treats, if desired. Bake for 15-20 minutes, or until they are just beginning to turn brown around the edges. Remove from oven and allow to cool for 2 minutes on baking sheet. Then, transfer treats to a wire rack to allow to cool completely. Store in an airtight container or sealed plastic bag in the refrigerator for up to 2 weeks.